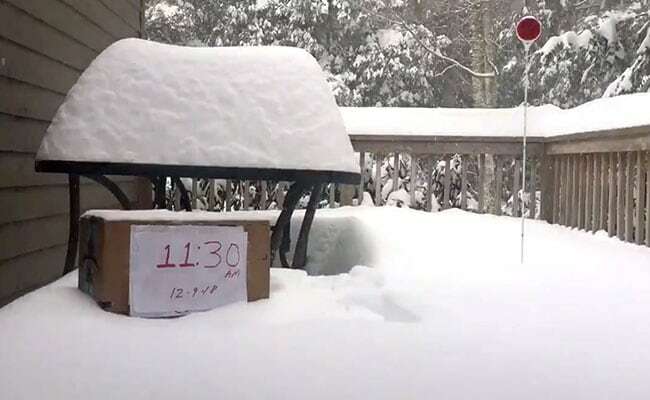 Snow hits a porch in Banner Elk, North Carolina. 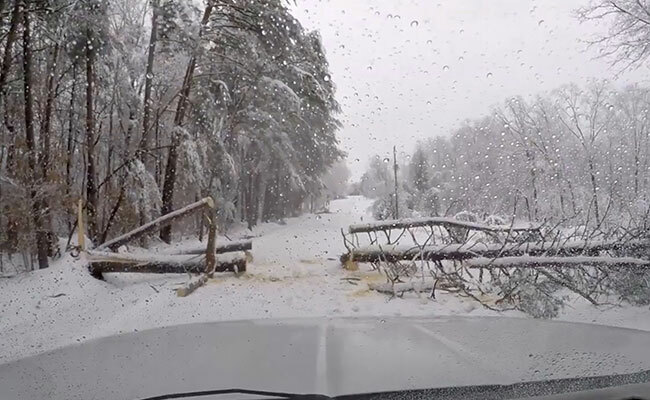 About 300,000 people in the US southeast were without power today and hundreds of flights were cancelled after a storm dumped 20 inches of snow and left one motorist dead. Motorists in north Georgia, the Carolinas and Virginia can expect snow and ice today. More than 300,000 customers were without power in the Carolinas, Tennessee and Virginia, Poweroutage us reported. North Carolina Governor Roy Cooper said yesterday a state of emergency would remain in effect and the North Carolina National Guard had been activated to help with the response.